Heavy duty dial probe thermometer that is simple to use. 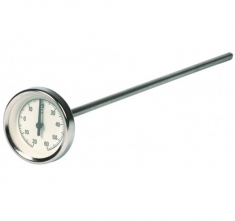 These heavy duty, 50mm diameter dial probe thermometers are reliable and accurate. 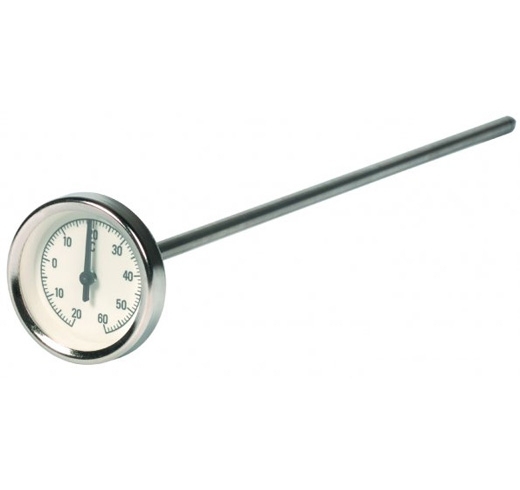 The dial probe thermometer features a Ø6 x 300mm pointed stainless steel stem. Ideal for asphalt, blacktop, soil and other heavy duty industrial applications. Three temperature scales are available indicating temperature over the range of -20 to 250°C in 1°C or 5°C divisions.